Psychologist Janet Werker and anthropologist Mark Turin have both dedicated their lives to studying how language works. But until last year, the two renowned scholars had never met, let alone collaborated. That changed last year, when Mark Turin attended a celebration for Janet Werker’s appointment as a UBC Killam Professor. After hearing her speak passionately about her vision for a new interdisciplinary language science course, Turin got in touch to ask how he could contribute. 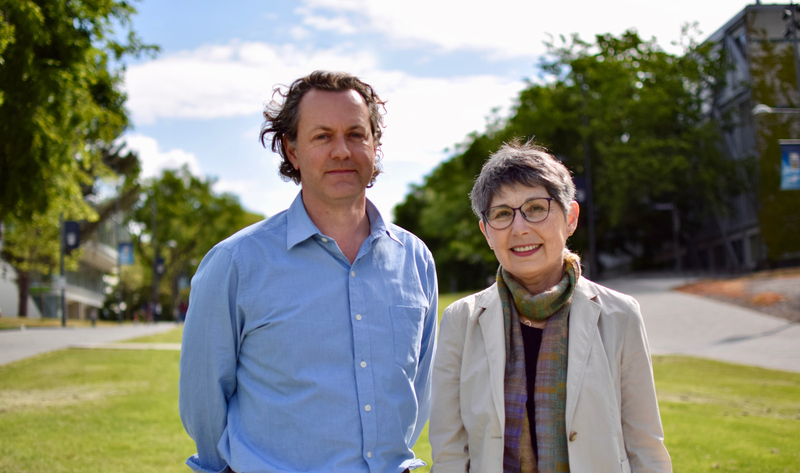 The two language researchers are now finalizing their interdisciplinary Living Language course – the first university-wide class in language sciences. Launching in September, the course is ambitious in its scope. Students will lead their own exploration of language as it applies to all domains of human life, from the creation and acquisition of spoken language, to writing systems, texts of all kinds, arts, culture, science and technology. In addition to in-class lectures by Professors Werker and Turin, students will hear from language leaders from the wider community, and work in interdisciplinary groups to assess the use of language in their own areas of specialization. We spoke to Werker and Turin about what drives their interest in language, what they hope to achieve with their new course and who should enroll. What first sparked your interest in language sciences? 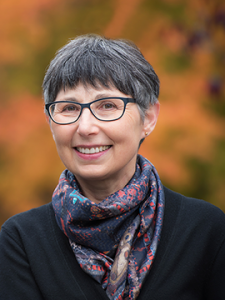 Janet Werker is director of the UBC Infant Studies Centre and co-chair of the UBC Language Sciences Initiative. She studies language acquisition in infants. Janet: I am a developmental psychologist, and most of my work focuses on understanding the foundations of language development in infants, starting before they produce their first words. While I find virtually all aspects of human development fascinating, it is language that I find the most intriguing – and to my way of thinking – the most important. Language is what sets us apart from all other species and is what has allowed us – as humans – to adapt so successfully to our environments, to record and share our feelings and experiences with others across time and space, to create the complex societies and cultures that are seen around the world, and – of course – to teach and pass on knowledge to our children. By studying the neurobiological, cognitive, and social foundations of language development from very early in infancy, I feel I am studying something about the very foundations of what it is that makes us human. Mark: I have footholds in both anthropology and linguistics, and most of my work lies at the intersection of these disciplines. I grew up in a rich linguistic environment in the United Kingdom, where my father spoke to me in Italian and my mother in Dutch. Thanks to this multilingual beginning, I think that I have always been interested in language – both as a subject and as a means to an end. I feel very privileged to have had the opportunity to work in collaborative partnership with members of the Thangmi-speaking communities of eastern Nepal and Darjeeling district in India since 1996, and since 2014 with members of the Heiltsuk First Nation here in BC. Both communities are engaged in hugely creative programs to document, protect and revitalize their unique languages. Why did you decide to create this course and why now? Janet: This course was the dream child of conversations I had with our wonderful donor and UBC alumna – Marietta Hurst – who is passionate about language and a formidable educator and literacy specialist. The vision is for students to learn about and appreciate the power of language. We hope that this will better enable them to harness their knowledge – both directly and in successful communication with others – as they move forward in their lives. I must admit, much of the appeal in creating this course was also to get outside of my comfort zone – I was longing for an opportunity to teach in a way that would allow me to connect more deeply with students. Mark: We want students to become better aware of the huge power and creative potential of language, and to reflect on that through the lens of their discipline. The course will support students to become more self-aware of what they have learned, and demonstrate what they can do with language through a deepened critical engagement with its organization. The course is built around opportunities for reflection, in-class and online group work as well as facilitated discussion. I look forward to being challenged by Janet and by our students, the combination of which will help me to think differently about what I do, why I do it and how I can best explain it to others. Why the interdisciplinary approach in designing the course? Janet: Most graduates don’t go out in the world and work in the confines of just one particular discipline. In order to do our jobs and make a difference, we all have to work and communicate with others from vastly different cultures and backgrounds. We are eager to show the community and the world that UBC is a university that can achieve interdisciplinarity in undergraduate teaching and learning, while also adhering to the standards and rigors expected in an upper level UBC course. Mark: Through my research, I have learned just how much happens at the intersection of disciplines, and I am really excited to model that for our students. Interdisciplinarity reflects the backgrounds of our students, their needs, and the way our complex and interconnected world works. Janet and I are already quite interdisciplinary in our own research programs, and when put together, that interdisciplinarity is amplified. The result of our collaboration is a course that speaks to many of the goals of UBC’s new Strategic Plan, and will take us all in new directions. Mark Turin chairs the First Nations and Endangered Languages Program. 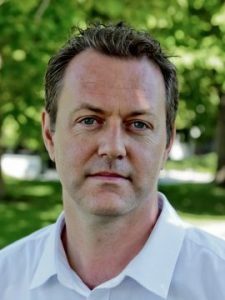 His research focuses on language revitalization and policy. Mark: Everyone should consider taking this course, it’s a course like none other! In this first iteration, we’re looking for fourth-year students from any faculty who want to think differently and come to the classroom with an openness for interdisciplinary discussion and inquiry. This is an elective in which we expect students to challenge and be challenged by their peers, by the carefully-selected guest speakers who will be invited to class, and by Janet and myself as the instructors. We’re committing a lot of our summer to designing this course, with great support from colleagues in UBC’s Centre for Teaching, Learning and Technology, and we can’t wait for September to meet our first cohort of students and start teaching! Janet: Living Language is a “transition-out” course open to all students from across the university, providing them with an opportunity to look back on their major through the lens of language sciences. While we hope the course will build in numbers, for the first year we are restricting the course to 40 students. Approximately half of the seats are for registration through the Faculty of Arts, and the remainder are for registration in the Faculties of Applied Science, Forestry, Language and Literacy in Education, Land and Food Systems, and Pharmacy. Sauder and the Faculty of Science will invite their students to take this as an Arts elective as well. 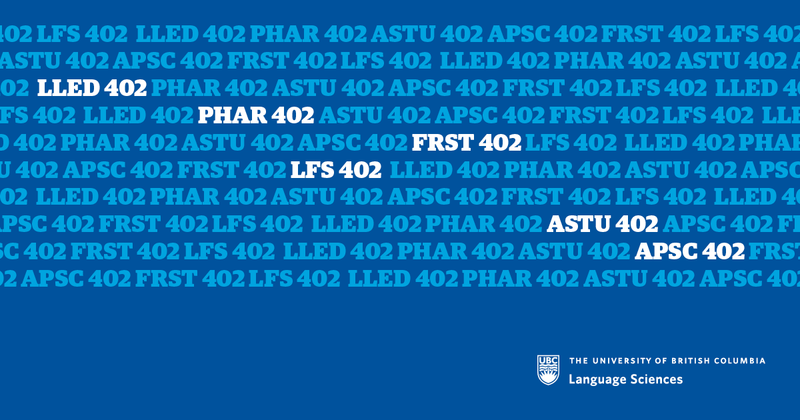 Living Language: Science and Society is cross-listed as APSC 402, ASTU 402, FRST 402, LFS 402, LLED 402, and PHAR 402, and will be offered for the first time in September 2018. Please consult with your Faculty Advisor to choose the appropriate option for you, or email living.language@ubc.ca for more information.